The railway came to Swanbourne in 1850, transforming the ability of people to travel into and out of the village, and increasing the movement of goods. The lines which linked to village to Oxford, Buckingham and Aylesbury began life with different Acts of Parliament in 1846, leading eventually to the formation of the Buckinghamshire Railway in 1847, under the guidance of Sir Harry Verny, Bart. of Claydon House and the Duke of Buckingham at Stowe. Sir Thomas Fremantle (later 1st Lord Cottesloe) also gave his support to the schemes, and his son, Rev. William Robert Fremantle, rector of Middle Claydon, was appointed as chaplain to the company, with a concern for the navvies who worked on building the lines. Construction of the line from Bletchley to Banbury began on 20th April 1847, and to Oxford on 13th June 1848, the junction between the two lines being at Verney Junction near Claydon House. The Bucks Herald of 30 March 1850 reported that a train had travelled the route from Bletchley to Banbury and returned, stopping off at Winslow for a dinner given by the contractors ‘on the most liberal scale’. On Saturday 4th May 1850, the paper reported that the Buckinghamshire Railway was opened on 1st May, with four trains running each way daily between Bletchley and Banbury, with one train each way on Sundays. The line from Bletchley to Islip near Oxford opened in 1st October 1850. The final section to Oxford was opened on 20th May 1851. Eventually, in 1862, a line was also completed from Bletchley through Bedford to Cambridge, and the Varsity Line was finally completed. The route of the line through Swanbourne swung slightly south, so that it was fully in the parish of Swanbourne rather than Little Horwood where there was some local opposition. It required a small rerouting of the ancient track, known as Salstreet, which ran from Winslow to Fenny Stratford (the track is now part of the National System of Cycle Routes – 51). Swanbourne Station or halt, close to the junction of the three parishes of Swanbourne, Mursley and Little Horwood, was opened in October 1851. At some point, a small single line siding was constructed next to the station. The railway opened up the possibility of local goods being traded more easily with other parts of the country, and in particular, milk could be brought to the station in the early morning ready to be conveyed to London within a few hours for consumption in the city. 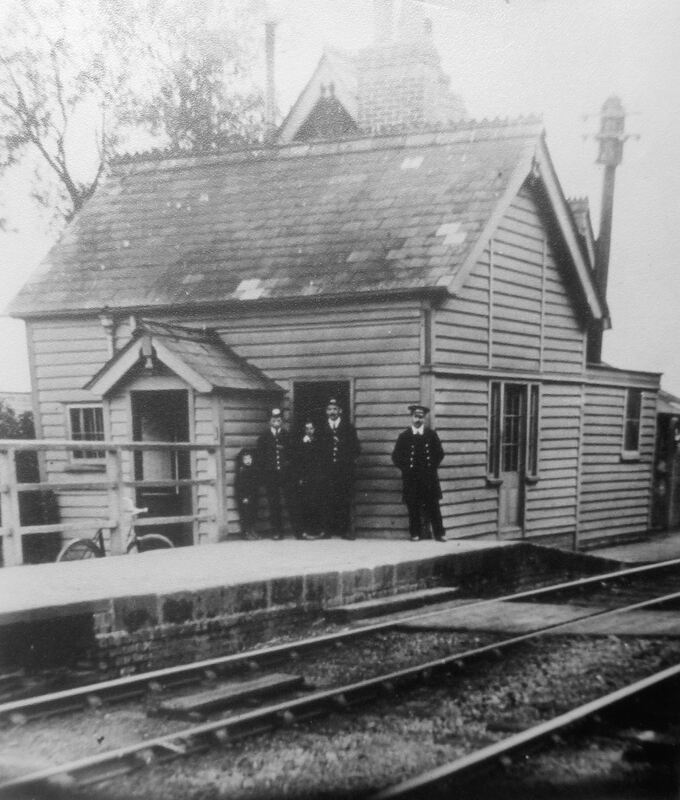 The line through Swanbourne flourished for many decades, and during the Second World War, a larger three-line siding was constructed between Swanbourne and Bletchley, known as Swanbourne Sidings, complete with its own signal box. In 1955, a modernisation plan proposed the construction of a large marshalling yard being built at Swanbourne, to serve the South of England with a similar yard at Carlisle to serve the North. In preparation for this, a large flyover was constructed at Bletchley, at a cost of over £1.6 million. Whilst the Carlisle yard was built, the Swanbourne yard was cancelled, and instead, it was decided to close the line to passenger traffic – despite the fact that this had not been proposed in the Beeching report. The last regular passenger train ran on 30th December 1967, though the line remained open to goods traffic and the occasional special passenger train until it was mothballed in the 1990s. A campaign to reopen the route from Bletchley to Oxford has continued ever since, and current plans are that it should be electrified and reopened by 2017. Sadly, the station at Swanbourne will not reopen, but a new station will be built in Winslow, less than 3 miles away. 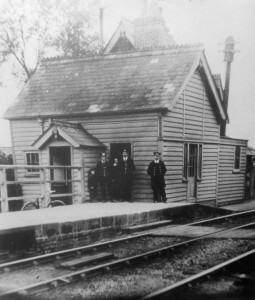 The platforms and the Station house remain as a reminder of this important part of the village’s history.